When I used to do tours, I'd be anxious and nervous on the plane returning to New York. I now realize the reaction was because I was coming back unemployed. Actors are constantly being put to the test. I like fantasy. I've always been the kind of kid who likes to dream about other things I could be and exotic situations I could be in. I don't know what makes you that kind of person. Some people probably don't have time for fantasy. I probably have too much time for it. Scott Bakula was previously married to Krista Newmann. The pair was together from 1981 to 1995. They have two children together: Chelsy and Cody. Currently, Scott is a married man. He is married to actress Chelsea Field. They married in 2009. The couple has two children from this marriage: Wil Botfield and Owen Barrett. The marriage is going strong as there is no news regarding any extramarital affairs at present. 1 Who is Scott Bakula? Scott Bakula is an American actor, director, and singer. People mostly know him for his role as Sam Beckett on ‘Quantum Leap.’ Additionally, he is also widely recognized for playing Captain Jonathan Archer on ‘Star Trek: Enterprise.’ Additionally, he has also appeared in several other television series including ‘Chuck’ and ‘NCIS: New Orleans’ among others. 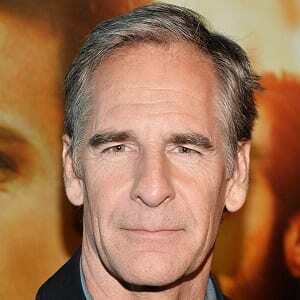 Bakula was born as Scott Stewart Bakula in St. Louis, Missouri on October 9, 1954. He was born to parents Sally and J. Stewart Bakula. Additionally, he has a younger brother and a younger sister. Scott became interested in the world of acting since an early age. He is of American nationality. Furthermore, he belongs to the mixed ethnic background of German, Bohemian (Czech), Austrian, English, and Scottish. Talking about his education, Bakula graduated from Jefferson College. In addition, he also attended the University of Kansas. Bakula initially made his Broadway debut playing in ‘Marilyn: An American Fable.’ Additionally, he also appeared in Off-Broadway production ‘Three Guys Naked.’ In 1986, he appeared as Jeffrey Wilder in the TV series ‘The Magical World of Disney.’ In the same year, he also had the role of Peter Strickland in another TV series ‘My Sister Sam.’ Scott portrayed the role of Hunt Stevenson in ‘Gung Ho.’ Since then, he has appeared in several other movies and television series. All in all, he has over 70 credits as an actor. Some other movies and television series that Bakula has appeared in include ‘NCIS: New Orleans’, ‘The Late Show with Stephen Colbert’, ‘Basmati Blues’, ‘It’s Always Sunny in Philadelphia’, ‘Summertime’, ‘Me Him Her’, ‘Looking’, ‘Caper’, ‘Elsa & Fred’, ‘Behind the Candelabra’, ‘Geography Club’, ‘Two and a Half Men’, ‘Enter the Dangerous Mind’, ‘Table for Three’, ‘Desperate Housewives’, ‘Family Guy’, ‘Men of a Certain Age’, ‘The New Adventures of Old Christine’, ‘State of the Union’, ‘Boston Legal’, ‘Blue Smoke’, ‘Role of a Lifetime’, ‘Life as a House’, ‘Father Can’t Cope’, ‘Papa’s Angels’, ‘Above Suspicion’, ‘NetForce’, ‘Mr. & Mrs. Smith’ and ‘Designing Women’ among others. Furthermore, Scott also has 13 credits as a producer and one credit as a director. Bakula won the Golden Globe award in 1992 for his performance in ‘Quantum Leap.’ Additionally, he has also received two other Golden Globe nominations. 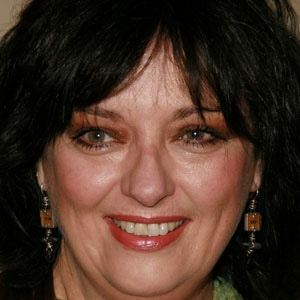 In addition, Scott has also garnered the Primetime Emmy Award nominations a total of five times. All in all, he has 6 wins and 17 nominations to his name for various awards to date. Bakula has not revealed his current salary. However, he has an estimated net worth of around $ 10 million at present. Bakula became part of a controversy in 2005 after the ‘Star Trek: Enterprise’ finale was criticized for being the most controversial finale among all of the Trek TV shows. Furthermore, at present, there are no rumors concerning his life and career. Talking about his body measurement, Bakula has a height of 5 feet 11¾ inches (1.82 m). Additionally, his hair color is blonde/grey and his eye color is light brown. Bakula is active over the social media. He has a huge number of followers on social networking sites such as Instagram and Twitter. He has more than 61k followers on Twitter. In addition, he has over 29k followers on Instagram. 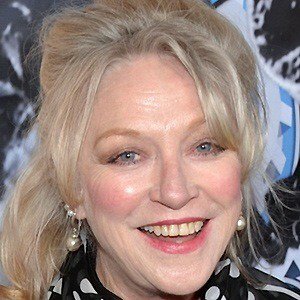 Also know more about the early life, career, net worth, relationships, and controversies of other actors like Erik Salitan, Peter Porte, Derek Theler, Joe Nipote, and Malachi Pearson.